The perfect game day includes tailgating or a fun lunch, an exciting game that hopefully ends with a big win, and coming home to a good home cooked meal. The perfect post game meal includes a little planning ahead, and doesn’t include actually cooking after the game. Games are fun and exciting and always exhausting with lots of emotions and the last thing I ever want to do is cook a full meal once we get home. Sometimes we get take out but, it is always better when I can remember to make something in advance in the slow cooker or pop something pre-prepped in the oven. 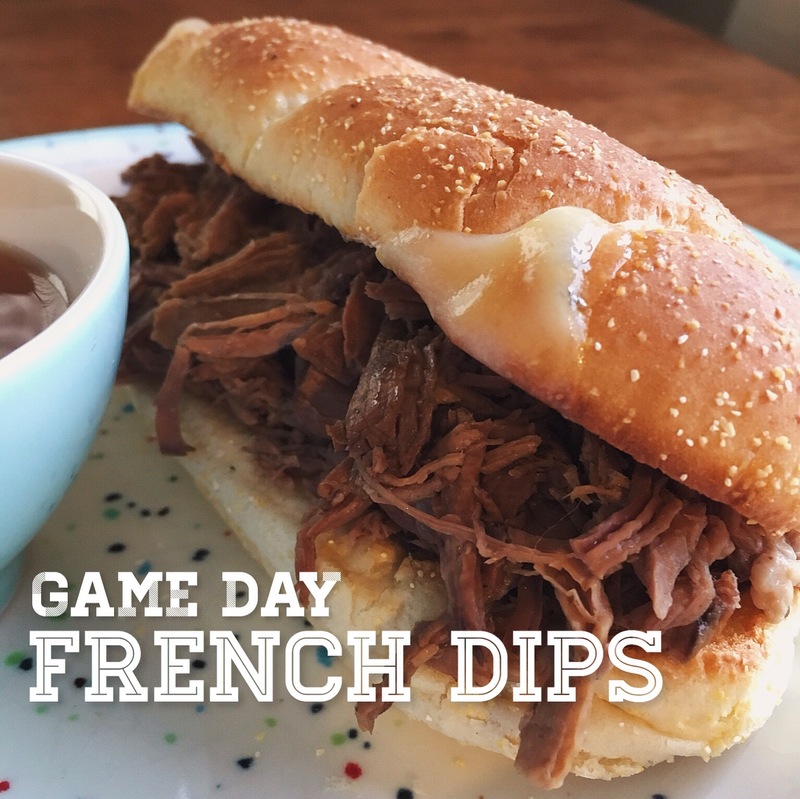 These french dip sandwiches fit the bill for all of the above – hot, satisfying and make ahead. It also helps that they are mouth watering-ly delicious, and I could definitely eat 2 at one time if I were hungry enough, that is how good they are! This recipe was shared with me from a long time friend from college and we also work together. She made these one night I went to her house a few years ago. I begged her for the recipe because I knew I would need to make them again and she kindly shared; she is the best! I have definitely made them a dozen times for post game meals, large family gatherings and for easy pre-made weeknight dinners. 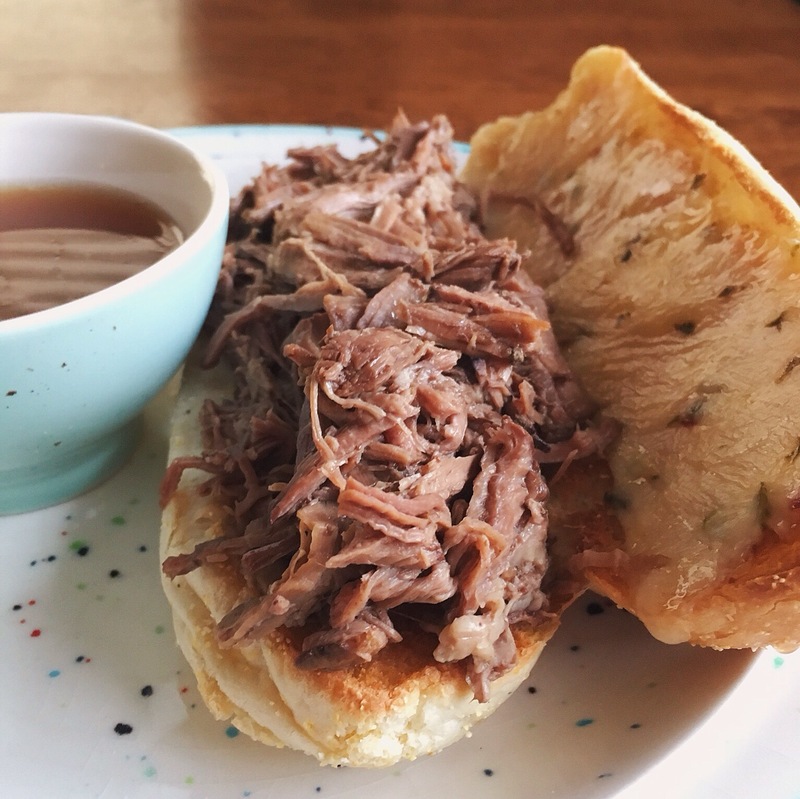 All of the ingredients are dumped into a slow cooker along with the meat and some water and left alone to cook up and create the most savory au jus. Don’t judge me, but I have definitely drank the left over au jus from my serving after my sandwich has been devoured. 🙂 Shout out to my mother in law for the cute football serving tray. Place meat along with following seven ingredients in a slow cooker and cook on low for 7-9 hours, or until meat is tender and falling apart. Once the meat is falling apart, take the meat out and pull apart with two forks, discarding of any fatty pieces. This is optional and depends on how fatty the cut of meat is, but while the meat is out of the au jus, spoon the oil off the top and discard. If the au jus needs you can also pour it through a fine mesh strainer and then return back to the slow cooker. 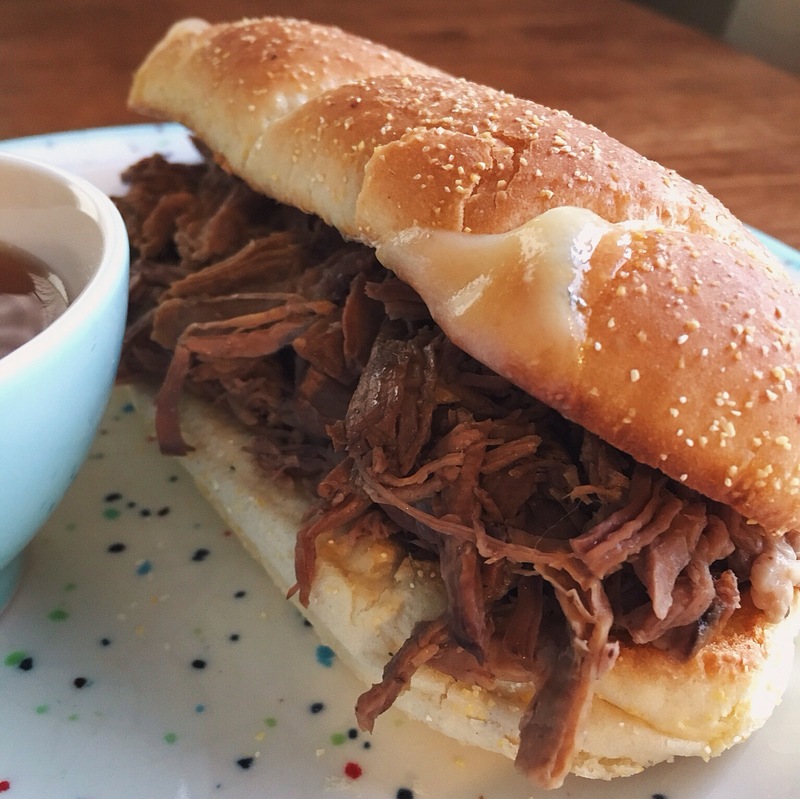 Return the pulled meat back into the slow cooker with the au jus and turn to warm. To assemble the sandwiches, lay the sandwich rolls out flat on a baking sheet and sprinkle with garlic salt and broil until lightly browned. Take out and add slices of cheese on top, then place back under the broiler until the cheese is melted and remove from the oven. 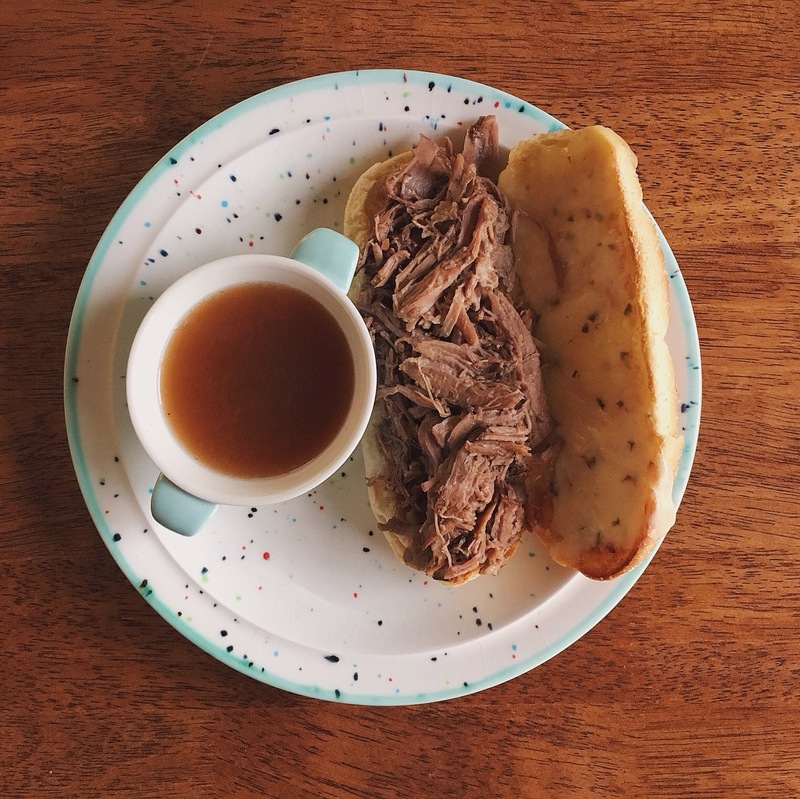 Pile on meat, and ladle au jus into a small bowl for dipping the sandwich. 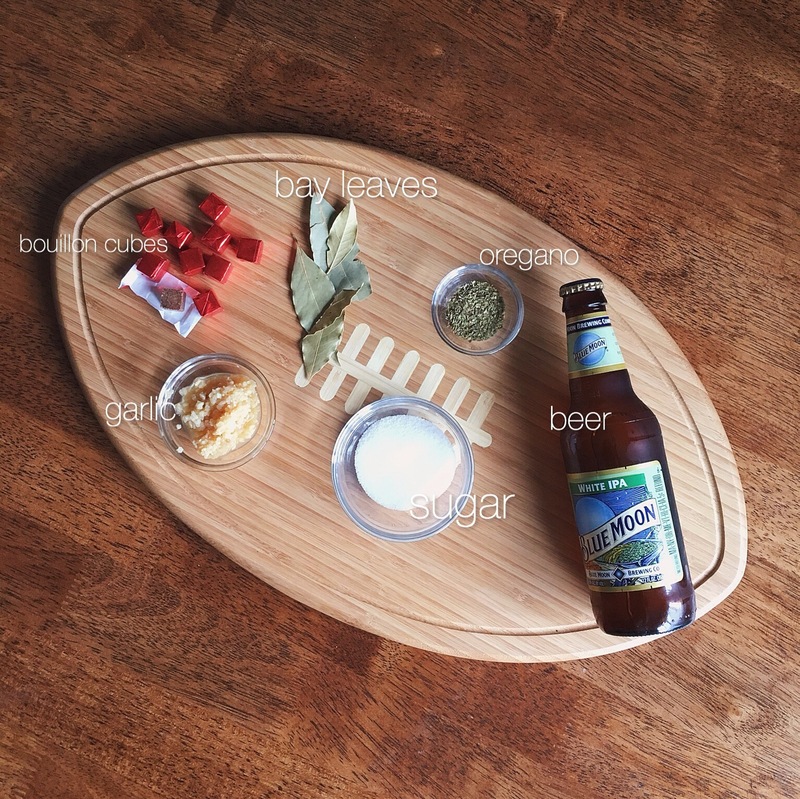 *Beer: I have used many types of beer such as pale lagers and IPAs, all of them have turned out great. 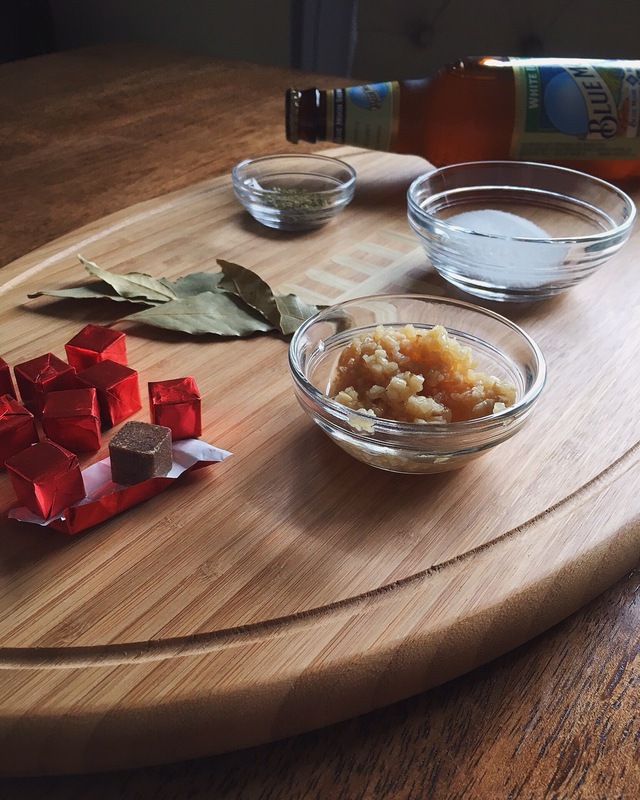 If you prefer to leave out the beer, substitute with 12 ounces of water and add an additional bouillon cube. Thanks for stopping by CB EATS! 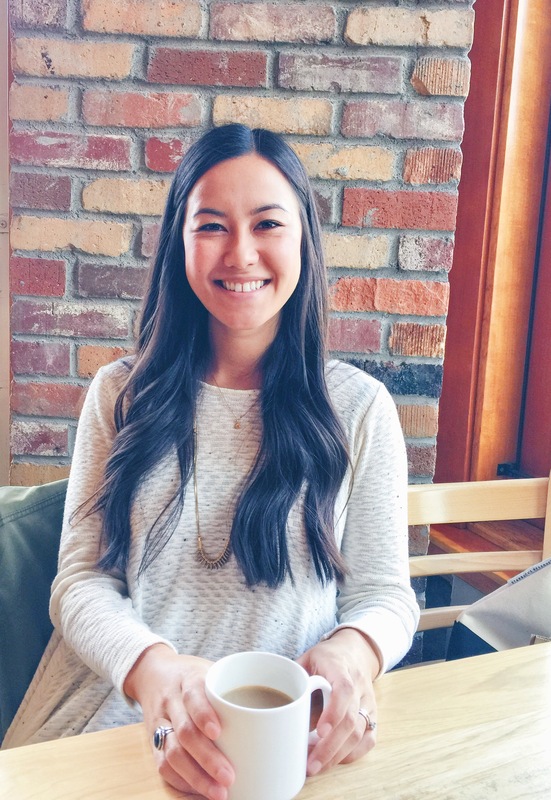 Follow me on instagram or pinterest!